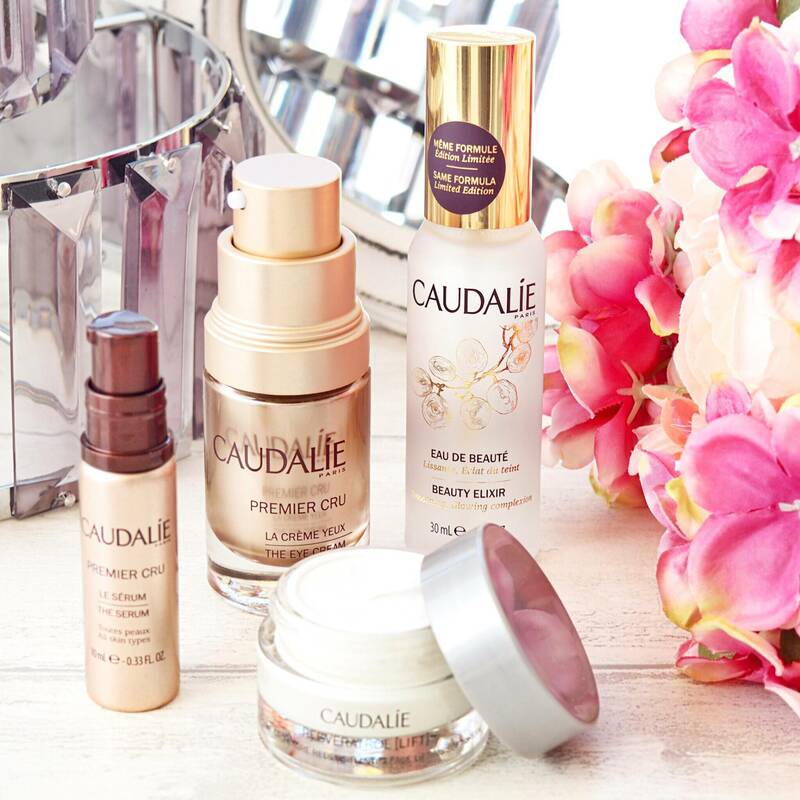 I was first introduced to Caudalie over a decade ago when I worked for Space NK, I adored their highly-rated products then and do so even more now. 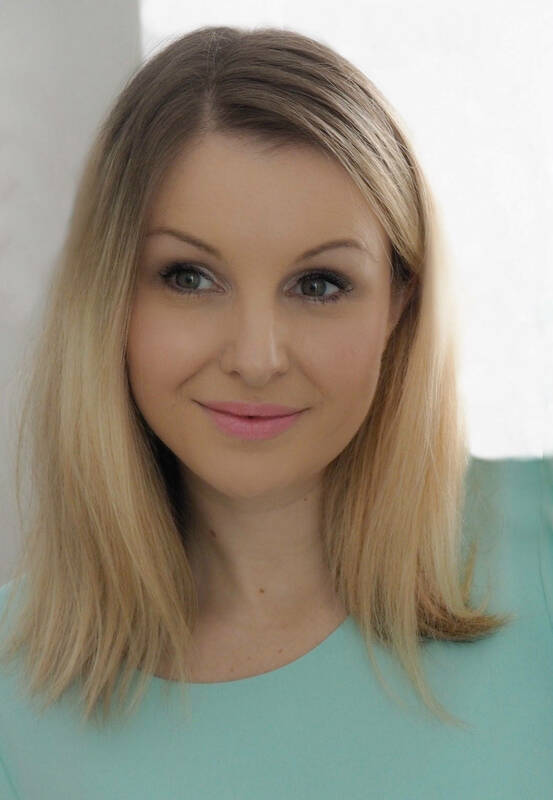 In my twenties I tended to think more about makeup rather than skincare to be honest, but that changed when I hit my thirties. 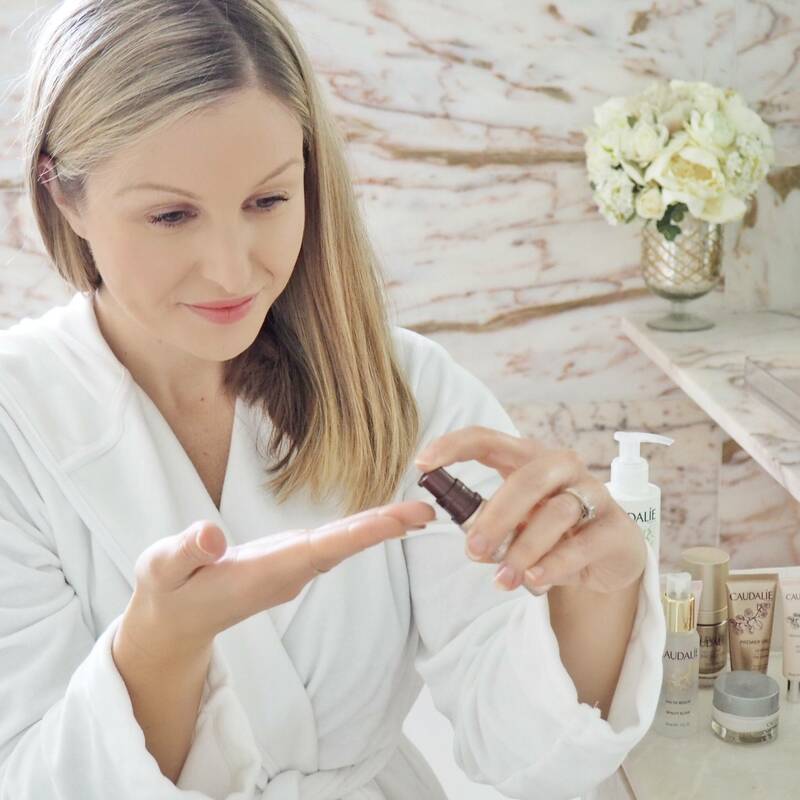 Now as I am creeping towards that big ‘4 0’ protecting and looking after my skin is a huge part of my daily routine. Maybe you become more conscious of it as you get that bit older but I know I am certainly quite choosy with skincare, especially because I have sensitive and acne-prone skin, but at the same time I want to combat the signs of ageing whilst hiding the lack of sleep that often comes with having small children, so I guess I am asking quite alot from my skincare products. 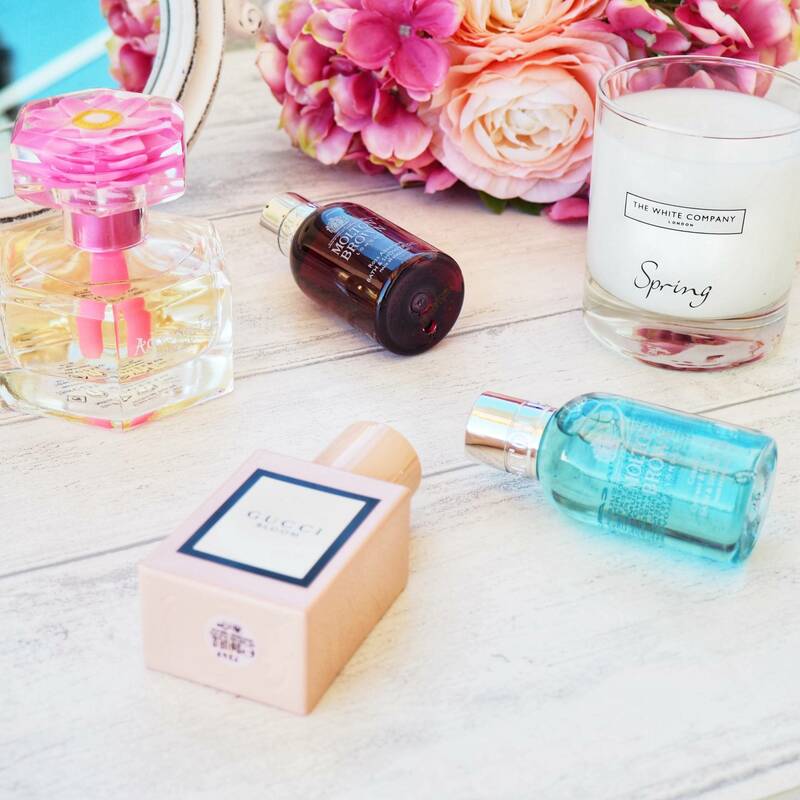 I always switch my wardrobe and makeup to reflect the seasons, but in particular my skincare. 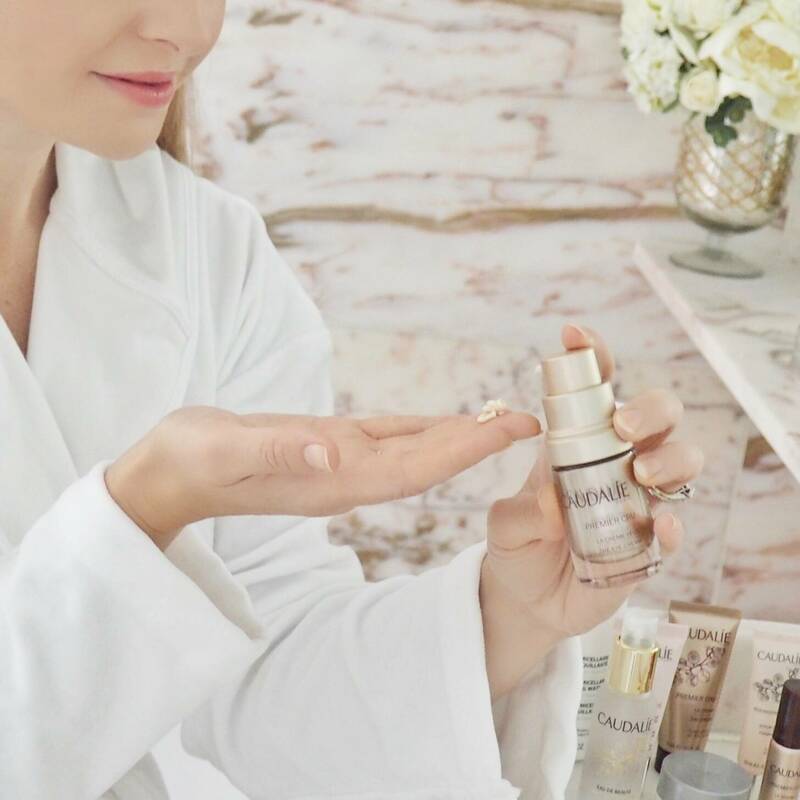 In the Winter I certainly favour more intense moisturisers, serums and more hydrating products so that my skin can drink up the moisture to keep it locked in. 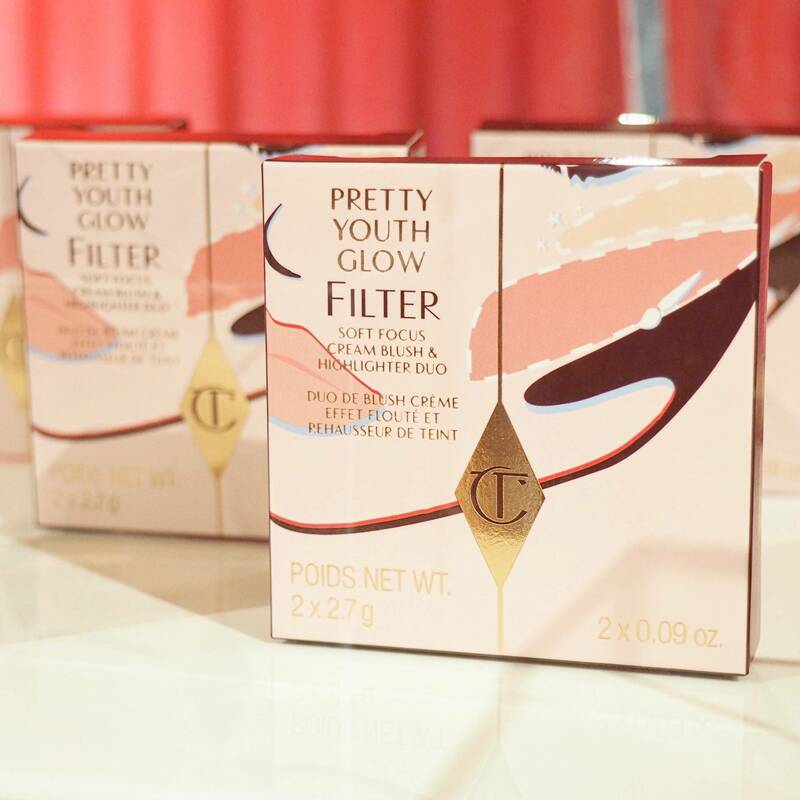 I don’t like anything too rich, and I like to lightly layer the products as not to irritate my skin. I also don’t want to overload my face with lots of products and I do have to be careful with which skincare I use and even more so how I use them. 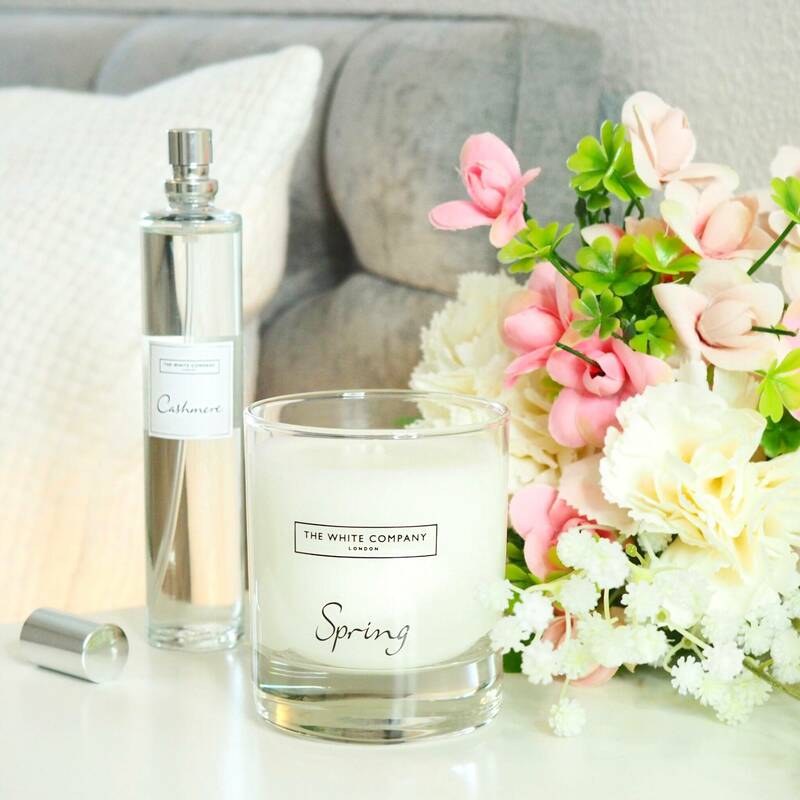 Now that Spring is finally upon us with some warmer weather, lighter nights and lighter clothing, my skin (as well as myself) can breathe a fresh breath of Spring air. 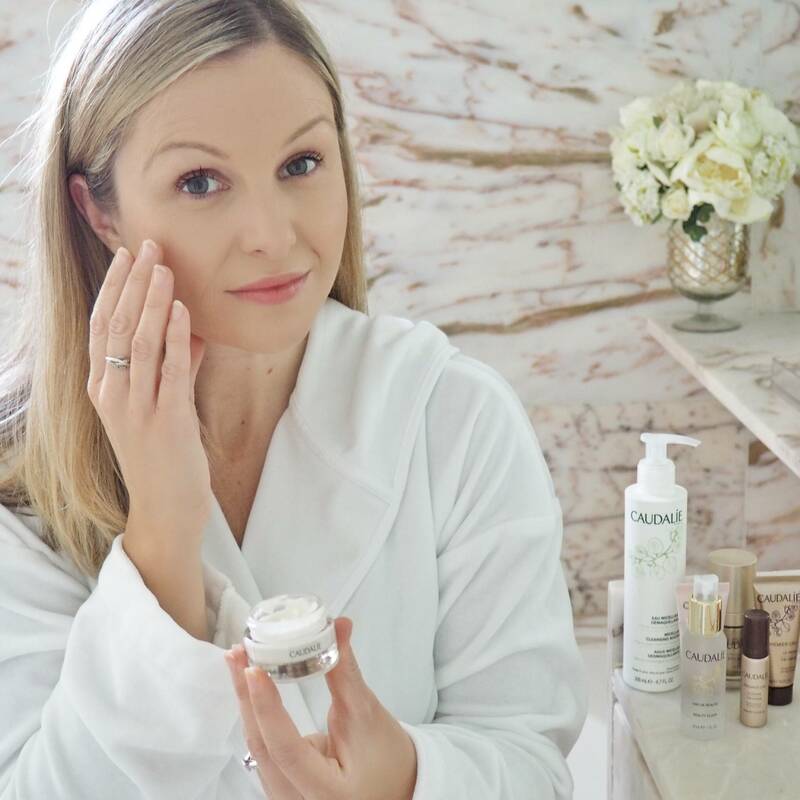 Spring for me is about prepping my skin ready for the Summer months with gentle products that nourish and add radiance and that combat my maturing skin. 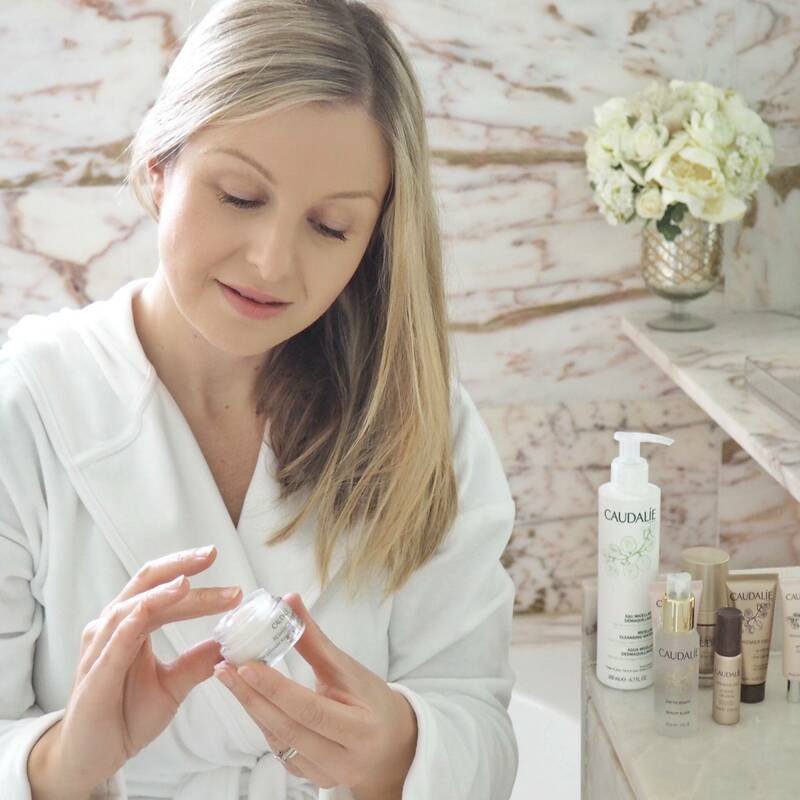 I am all about bringing that youthful glow to the skin and Caudalie have some wonderful products that combat all of the above concerns and then some, here of some of my favourite picks from them for the Spring months ahead. This new improved formula is proving to be pretty effective to say the least. 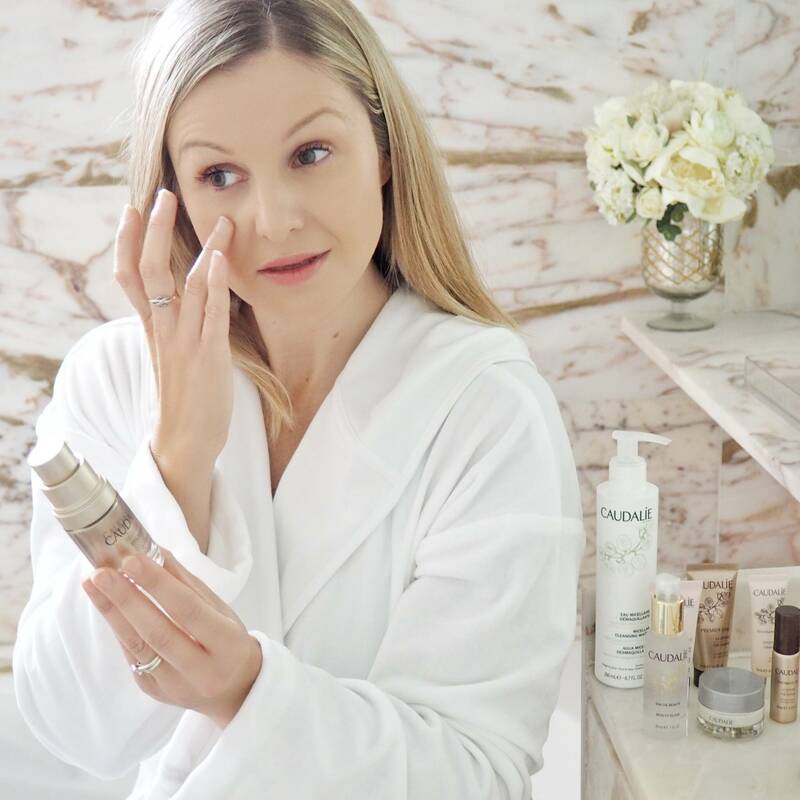 As I am nearing the big ‘4 0’ tackling the signs of ageing is something I am very conscious of, particularly around the eye area. 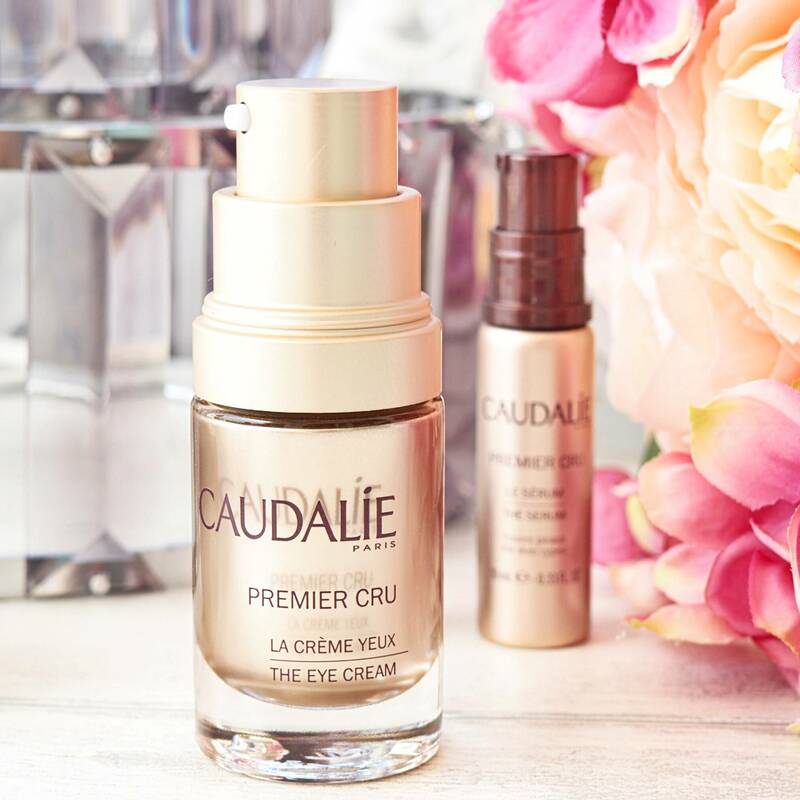 After using the Premier Cru Eye Cream which has soft focus pigments the skin around my eyes looks smoother and brighter (especially good if you haven’t had much sleep), this product is also fantastic at reducing swelling or puffiness around the eye area too. 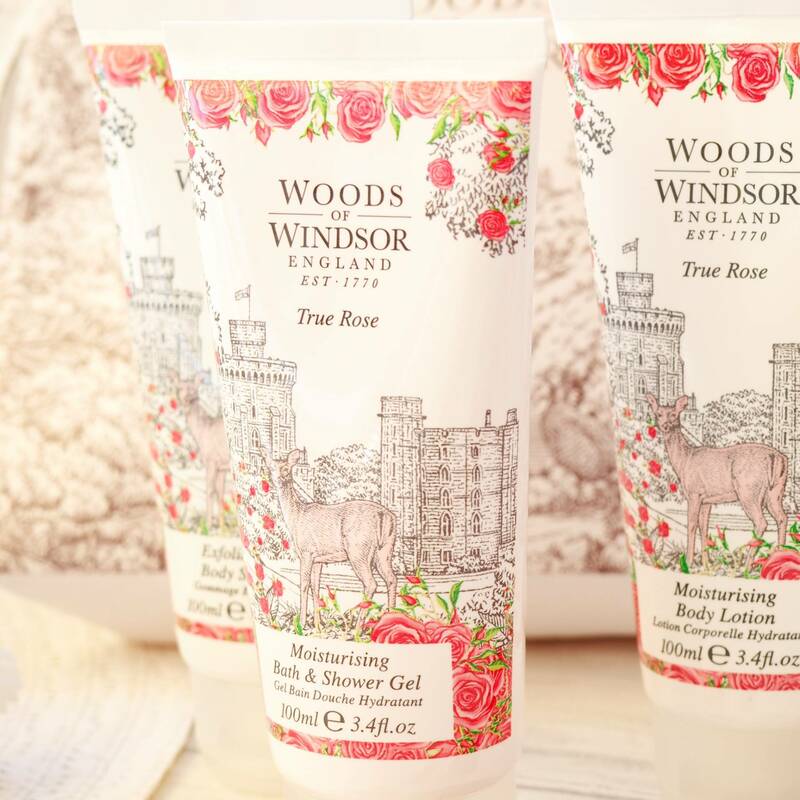 It’s incredibly hydrating whilst still being very gentle on the skin, and as I have sensitive skin I am happy to say this hasn’t caused any irritation. 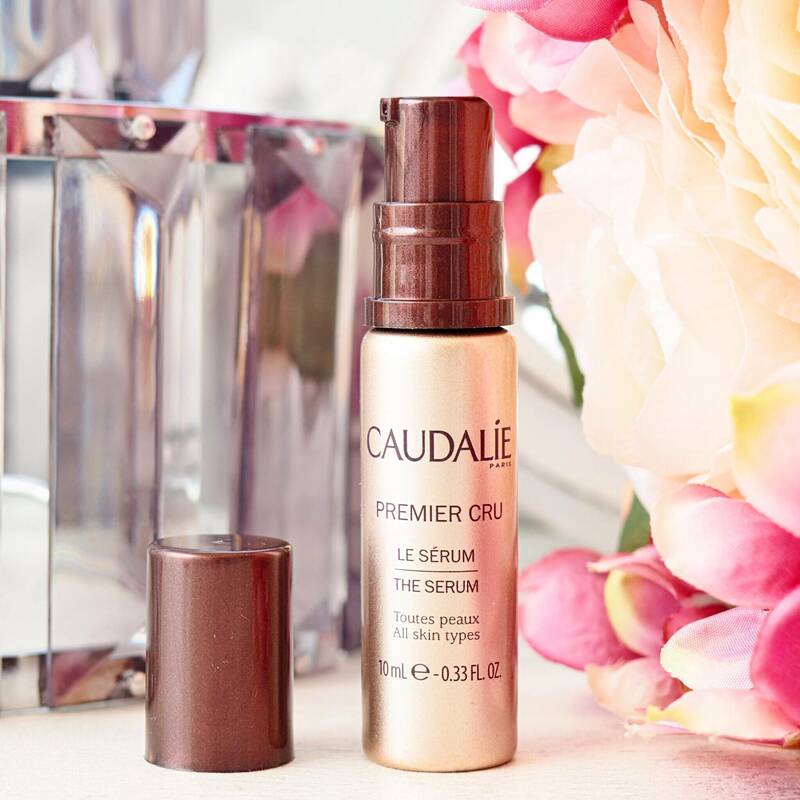 The Caudalie Premier Cru line is a wonderful range that tackles anti-aging, dark circles and puffiness in a gentle yet effective way. 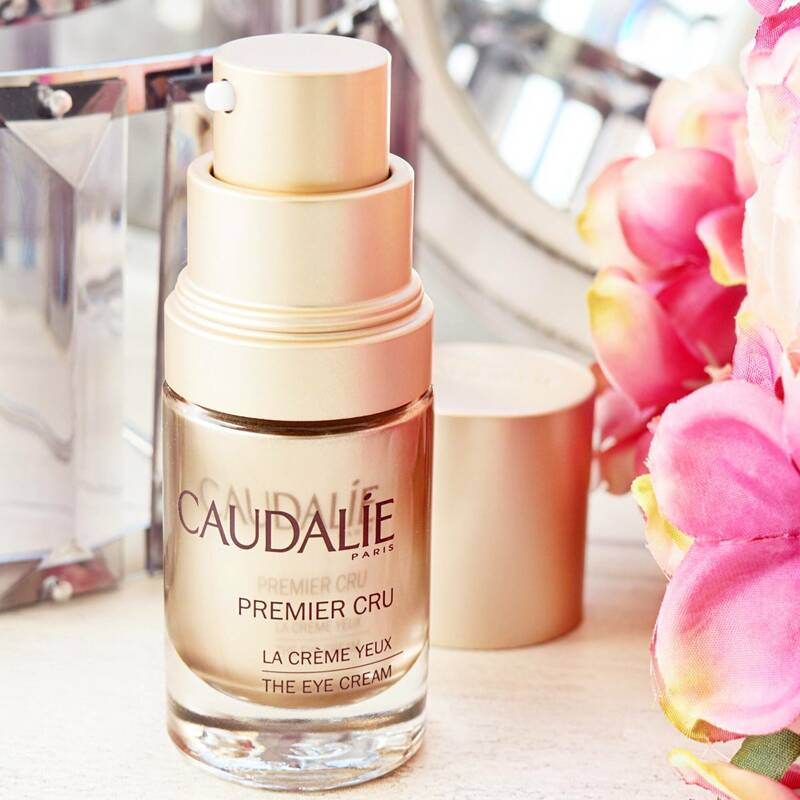 I really love this range and have a blog post coming later this month all about the Premier Cru line. 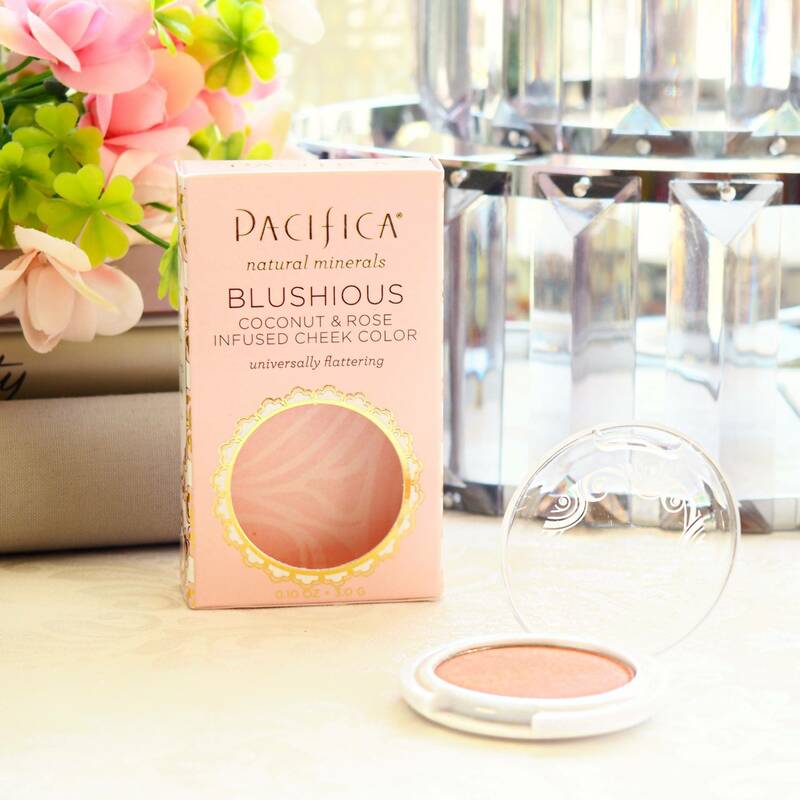 This light, nourishing cream feels so smooth, soft and silky on the skin, almost like cashmere, I absolutely love it. 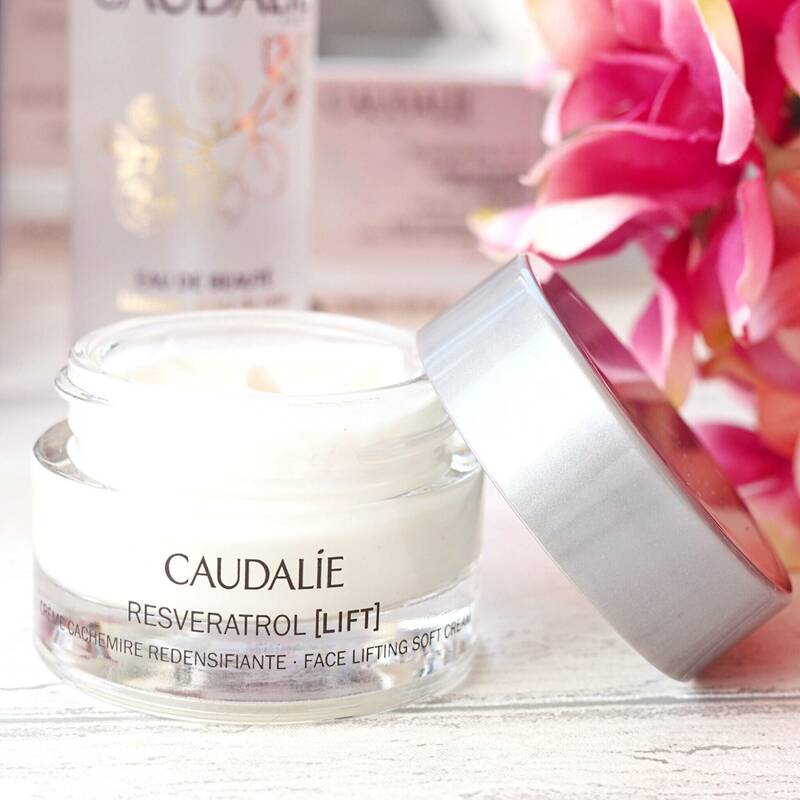 The Caudalie Resveratrol (Lift) Face Lifting Soft Cream claims to smooth wrinkles and plump the facial contours and I can certainly see that my complexion appears more youthful, bright, smoother and more hydrated. 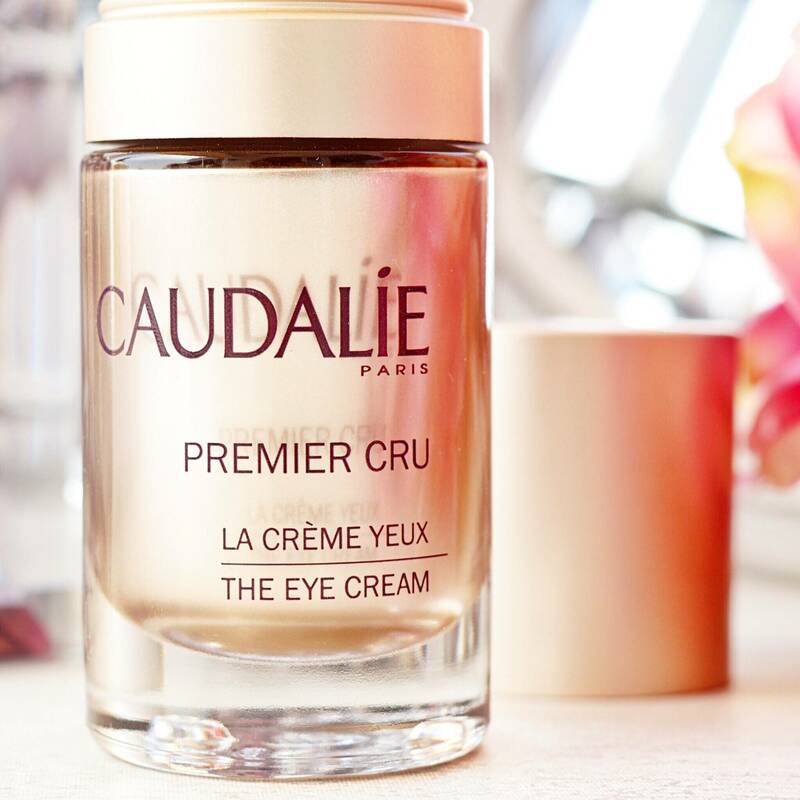 It also brings radiance to skin and has 93% ingredients of natural origin, the day cream contains hyaluronix acid, peptides and resveratrol 500. 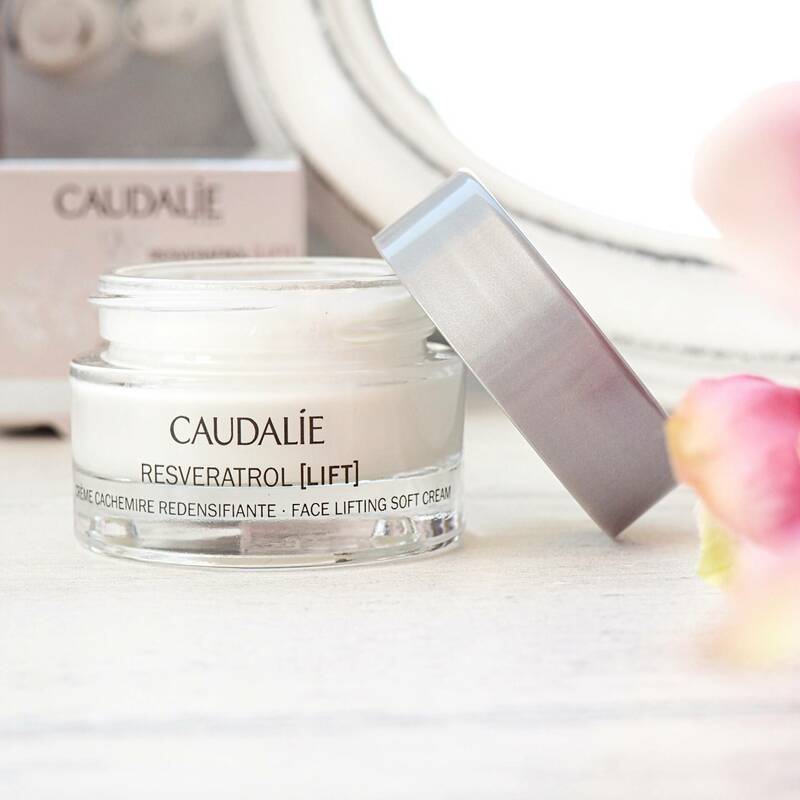 I have to say I am falling in love with this Caudalie Resveratrol (Lift) line, it seems to agree very well with my sensitive skin. 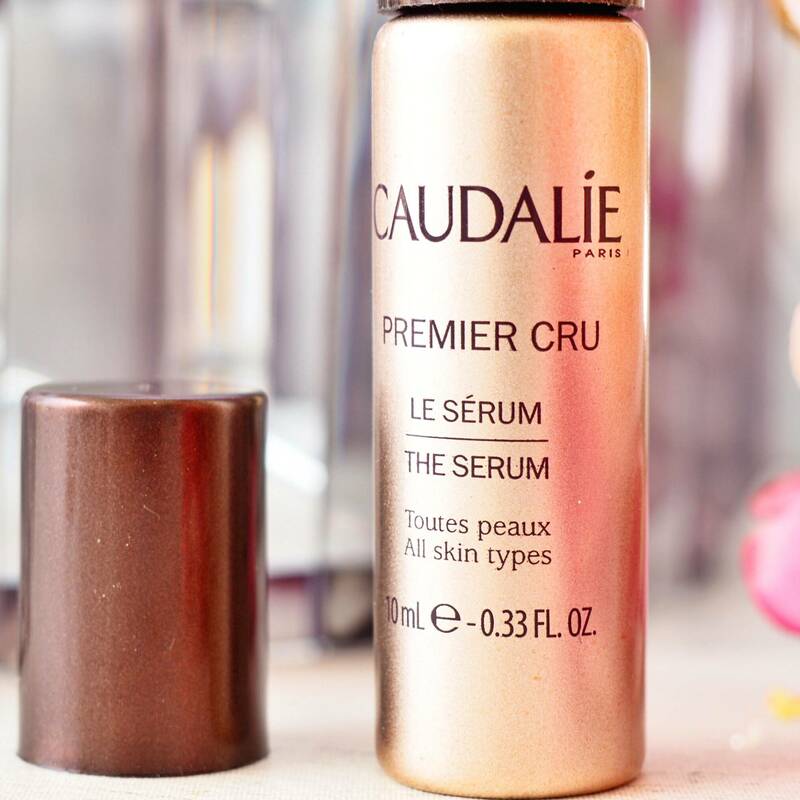 I always love a good serum, especially one that claims to fight anti-aging and this Caudalie Premier Cru The Serum is just simply divine. I have been using this in the morning and in the evening, I find a little goes a long way but it has a beautiful gel-like texture that just sinks into the skin leaving it more even toned, soft, plumped and hydrated, it just gives my skin a gorgeous radiance. 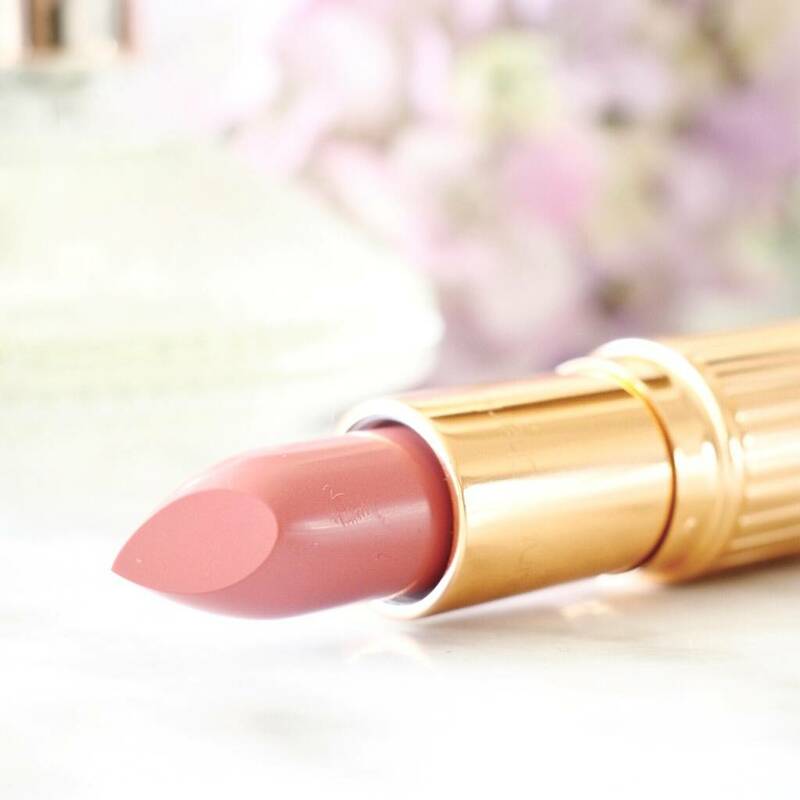 It’s also full of natural ingredients (including 0% parabens, phthalates, phenoxyethanol, animal ingredients), its incredibly lightweight and I find this to be a lovely base for makeup. It is on the pricer side but so far I have been very impressed and I have seen an improvement in my overall complexion. 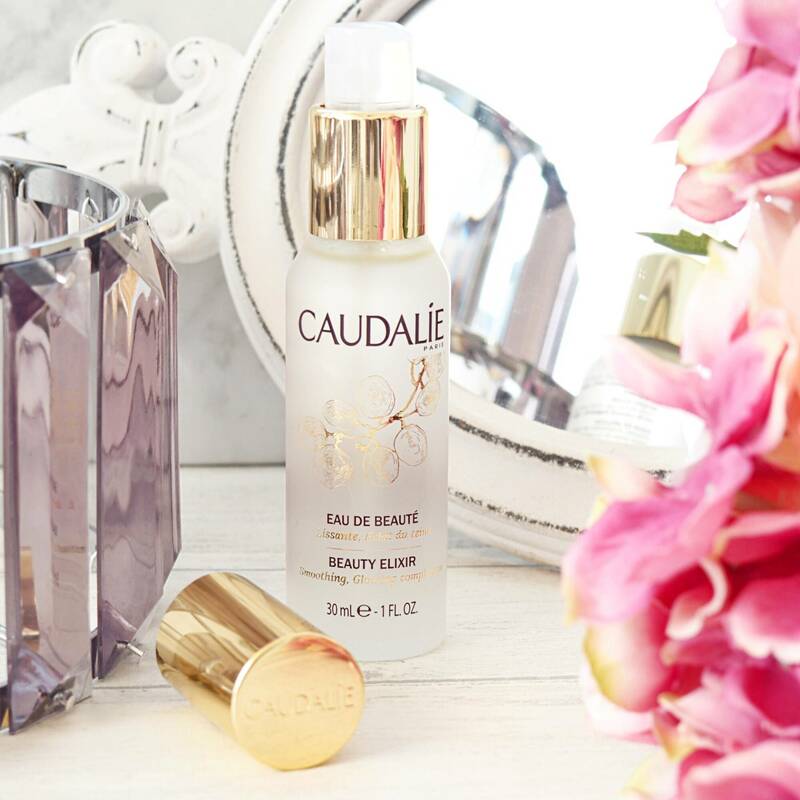 I don’t think I could write about Caudalie without mentioning one of my favourite beauty products – the Caudalie Beauty Elixir. 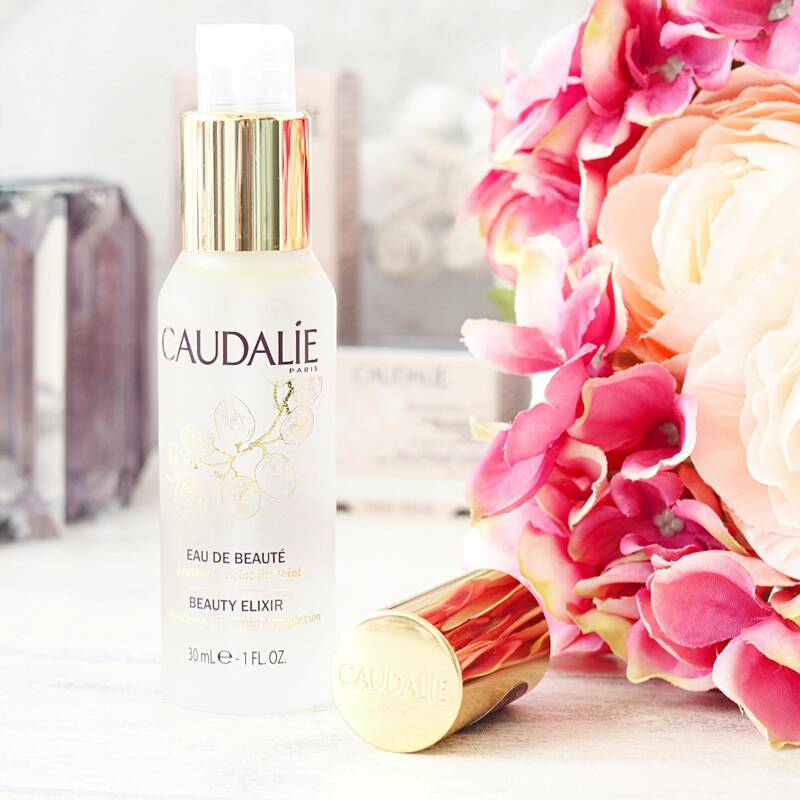 This beautiful facial spray is a Beauty Classic for a reason. 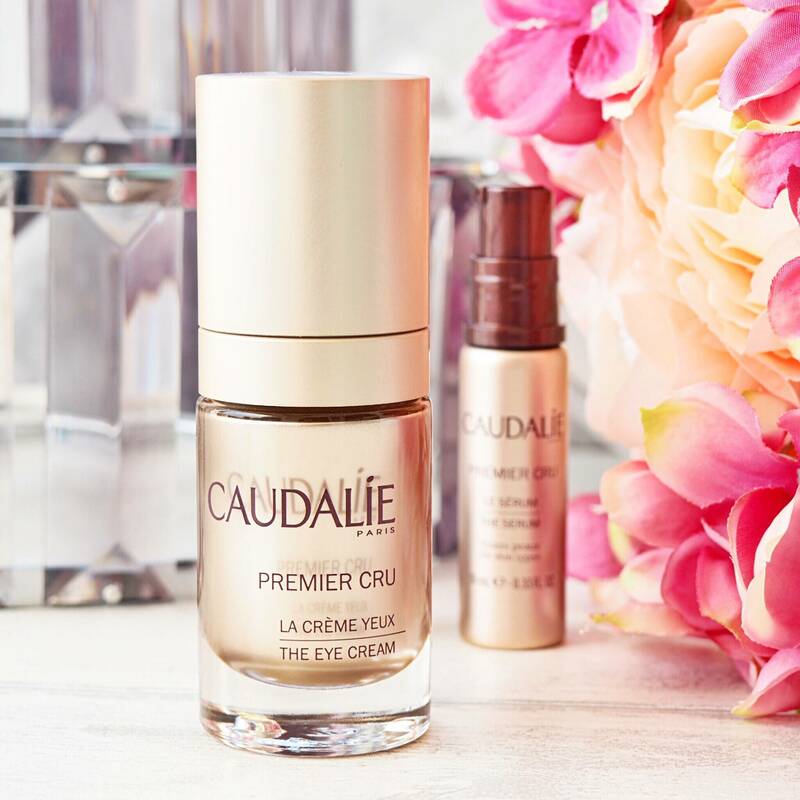 The grape-seed extract infused mist has so many uses – a toner, a makeup setter, a midday refresher, a cooling skin spray, you can spray on top of makeup for an instant refresh and pick-me-up, the list goes on. 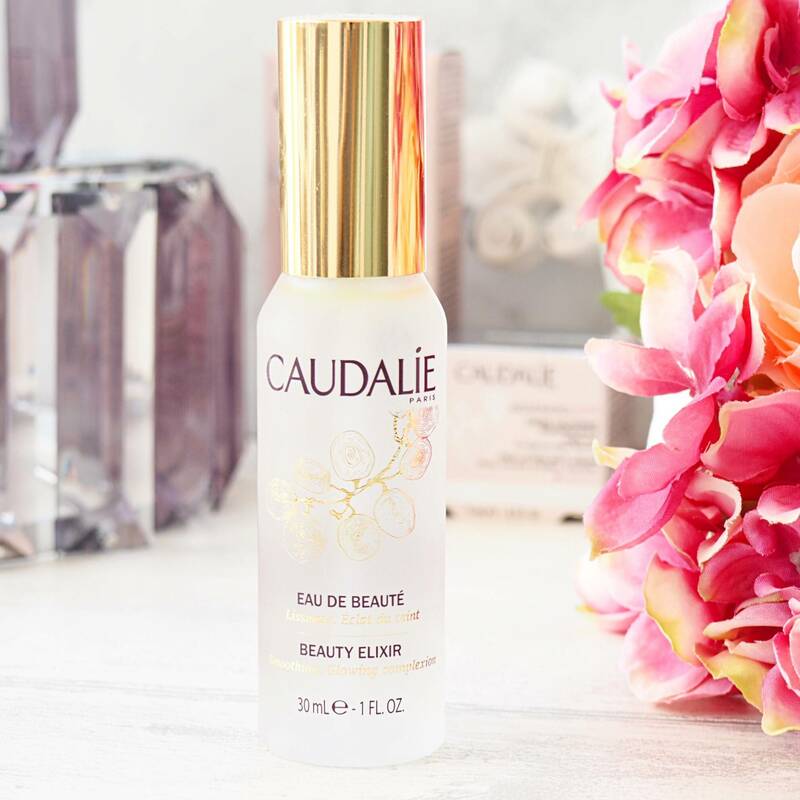 The cult product is inspired by Queen Isabelle of Hungary’s ‘elixir of youth’ and this Beauty Elixir Spray is smoothing, pore tightening and adds a glow to the complexion. I especially like to use this in the Winter months when my skin is feeling dry and abit dull, a spritz of this through the day gives an instant refresh, and likewise this is wonderful on holiday for an instant cooling boost and for soothing sensitivity. 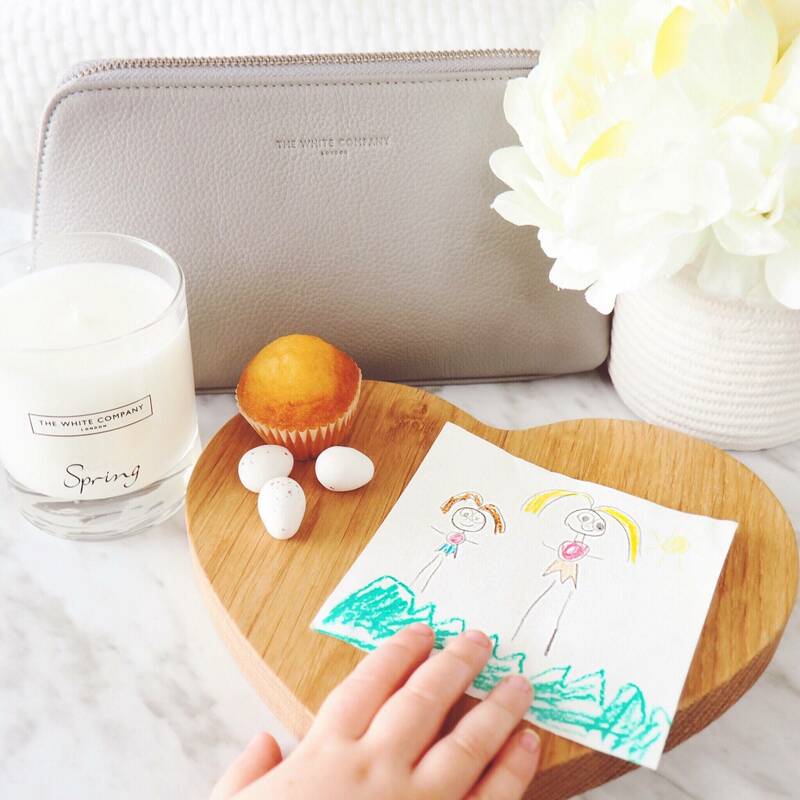 But it’s one of those year round, multi-purpose products that will find its way onto your bathroom shelf and into your everyday handbag to become a permanent feature you can’t help but love. 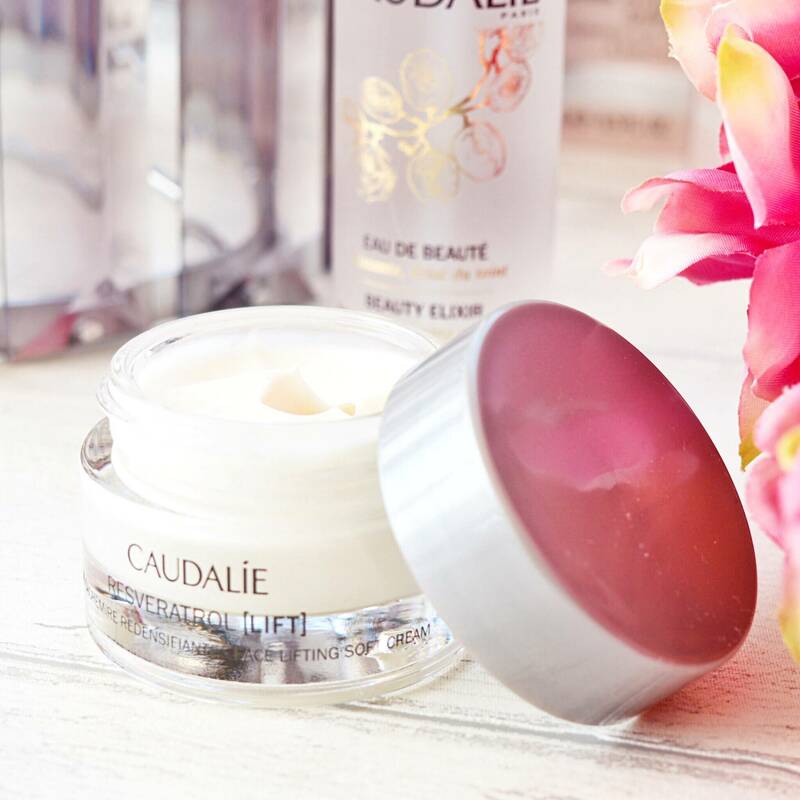 Online Customers will receive a Full Size Gentle Buffing Cream (worth £20) when spending £50 Caudalie’s Website – Apply the Code: SPRING18 at Checkout. 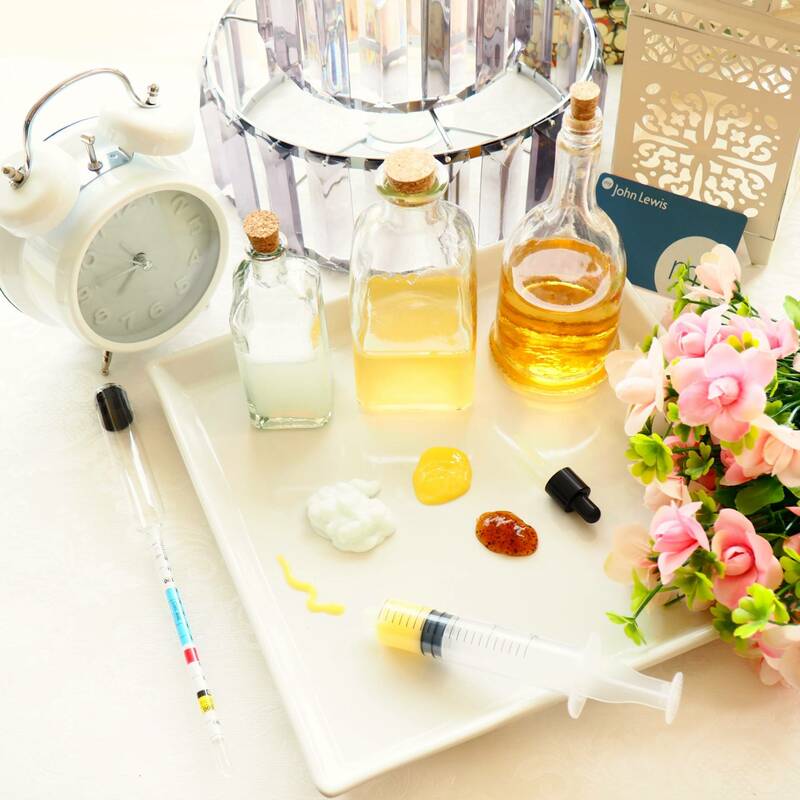 *this post contains PR/Gifted/Complimentary Samples. House of Paper Doll uses affiliate links in some blog posts, for further information please see my disclaimer.